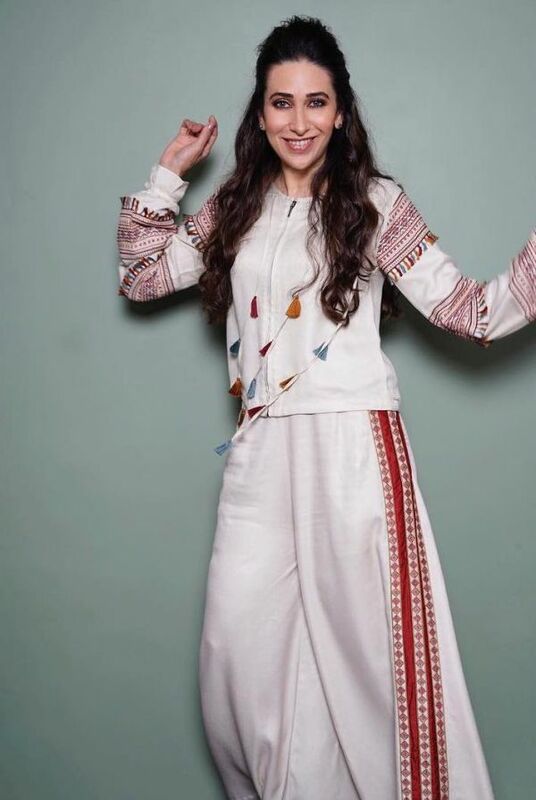 #SportySunday: Trust Karisma Kapoor To Pull Off A Desi Tracksuit! 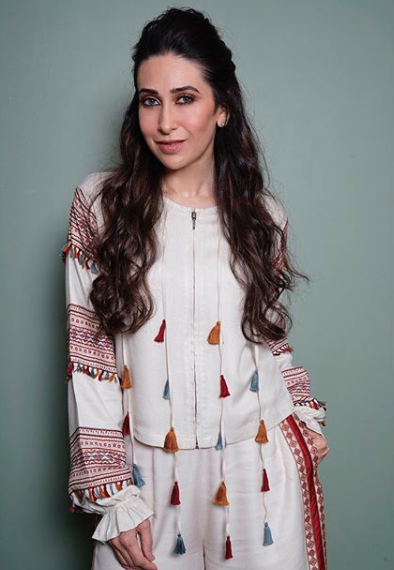 Karisma Kapoor aka Lolo never ceases to surprise us. The Bollywood veteran is aging like wine and dressing up mighty fine - pardon the rhyming, I do that when I get excited. And excited I am! Why? Because Lolo did it again. She gave me an outfit idea that left me shook. 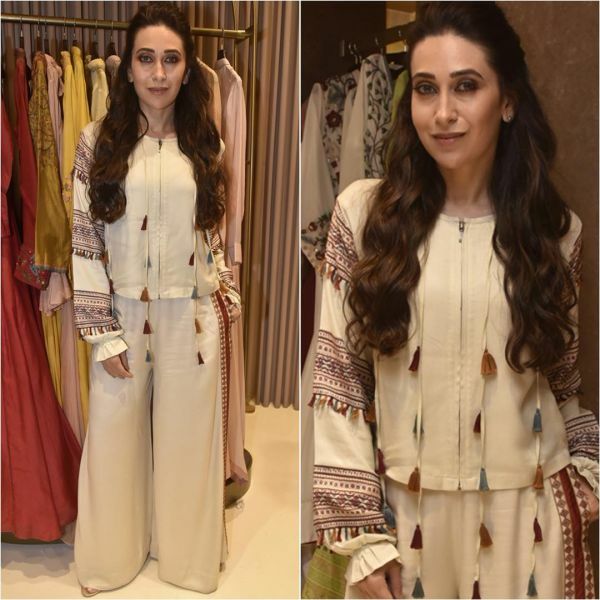 When Karisma Kapoor stepped out to inaugurate the new Pinnacle by Shruti Sancheti store in Mumbai, she also stepped up her style game. Yes, the woman is wearing a desi tracksuit. Two of my favourite things! Indian wear and athleisure. It's moments like this that make me go 'God bless the Kapoors'. 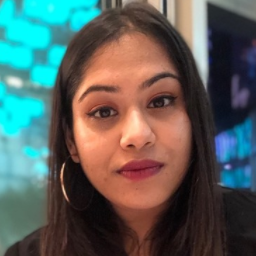 Coming to the Indian fusion outfit. Karisma was wearing a Pinnacle piece herself - the look consisted of a jacket-top and relaxed fit pants. 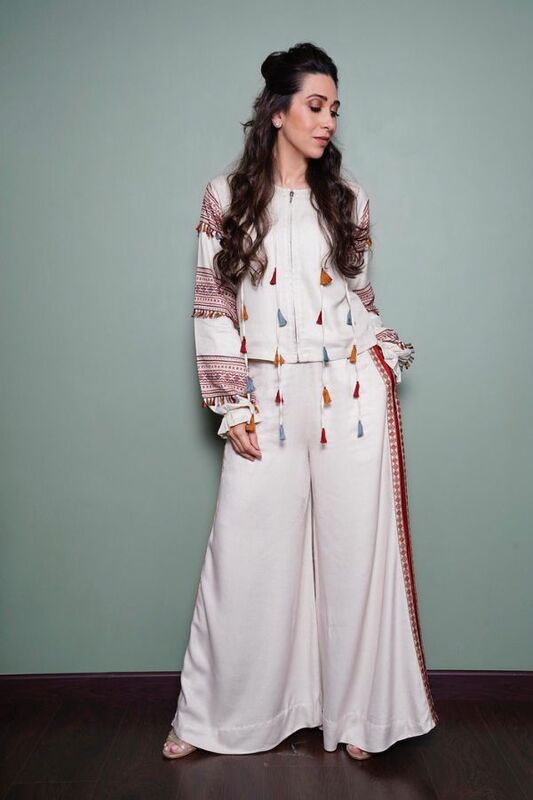 Coloured in a chic white, the ensemble had shades of red, orange, blue and burgundy too, in the form of embroidered panels and fun tassels! Finally, a tracksuit you can ACTUALLY wear during the summer... I call it a tracksuit because it has too many tracksuit elements for it NOT to be one. Karisma's white top is a zip-up bomber style jacket similar to ones you see as part of a tracksuit set. With the tasselled cloth strings hanging down the front like a hoodie's drawstrings, the resemblance gets even uncannier. Plus, the bottoms look just like the loose fit trackpants we're fond of ATM. The ones with those contrast side panels? Yes, just like the embroidered patterned panels on this designer pair. Like I said, trust Karisma Kapoor to pull off a desi tracksuit. She nailed it and therefore, is presiding over our #WomanCrushWednesday spot!